Surrounded by lush parks and fine restaurants, Anantara Baan Rajprasong Serviced Suites Bangkok, Thailand offers sophisticated short and long term stays in the city’s most exclusive neighbourhood. Venture out onto stylish Lang Suan or vibrant Sukhumvit roads. Unwind in the outdoor Jacuzzi shaded by waterfalls. 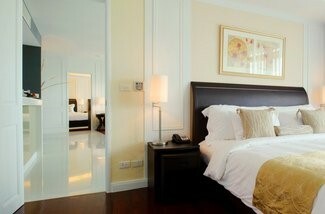 Or simply relax in our spacious and impeccably designed suites with all modern conveniences. Anantara Baan Rajprasong has been designed with the needs of business and leisure travellers on a short trip to this vibrant city, and more permanent visitors in mind, with suite sizes ranging from 77 square metres to expansive 156 square metre two bedroom abodes. 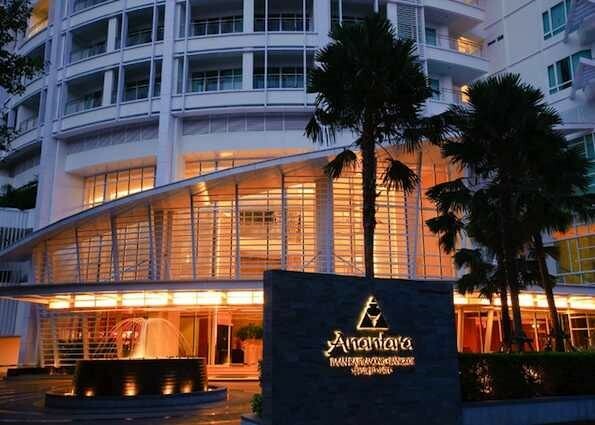 Our luxury Bangkok hotel also includes the finest facilities and services, from the glorious swimming pool surrounded by frangipanis and a fully-equipped fitness centre, to the stylish restaurant serving local and international cuisine. 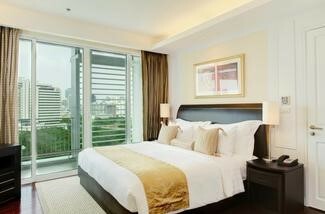 The Bangkok suites at Anantara Baan Rajprasong speak of quality in a style of understated elegance. One and two bedroom suites are both ideal for travellers seeking a spacious serviced apartment in Bangkok, with defined living spaces and bedrooms providing you with all the comforts of home. Extra Person : 1,300++ including breakfast. Maximum room occupancy: 2 Adults + 1 Child or 3 Adults for the one bedroom suite and 4 Adults + 1 Child or 5 Adults for 2 bedroom suite. Child Policy: Children under 12 years sharing with parents are on complimentary bedding basic room only. 50% off adult meal prices with exception of children’s menus. Infants under 2 years are on full complimentary basis.